Blend all ingredients except the 2 cups chopped bell pepper, tomato, olives and the spiralized zucchini into a blender until smooth. You can add more sun dried tomatoes for a thicker sauce. Mix chopped bell pepper, tomato, and olives into the sauce for a chunky style sauce. 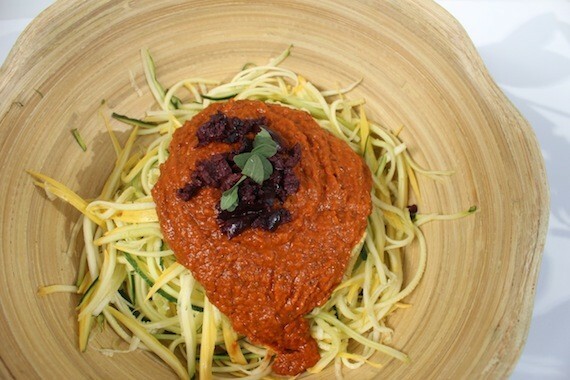 Pour the sauce over spiralized zucchini. ENJOY!